Chris Brown is not a monster… Belee dat! 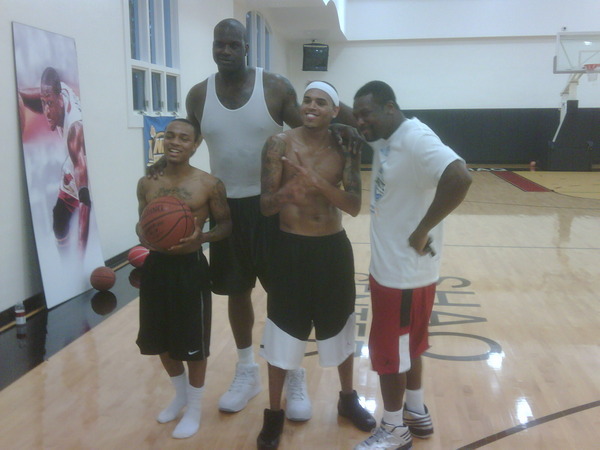 Chris Brown hasn’t said much about his goingson regarding Rihanna, but he had some brief time while hanging out with basketball cronies, Shaquille O’Neal, Chris Tucker, and Bow Wow over at Shaq’s house last night. A couple of YouTube videos are now on the interwebs, in which Brown rambles on about lying blogs, talks about black eyes, and hocks is new album, Graffiti. Guess that settles it then. Chris Brown is not a monster because he said so. In similar news, Bow Wow wants you to “belee dat”.